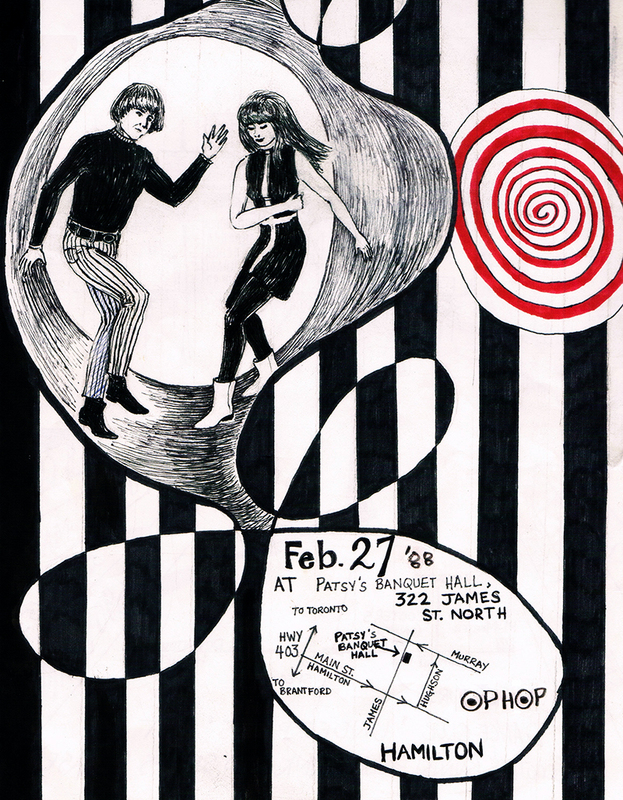 Just making sure that anyone searching online for interactive op art tool will find Opartica at http://www.opartica.com. 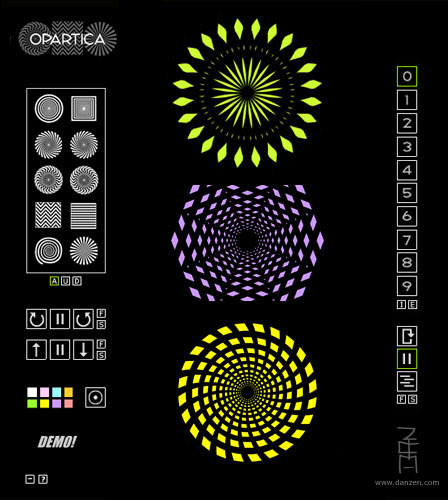 Opartica is a fully interactive optical art maker that lets you spin and overlap shapes like rays, concentric circles and squares, zig zags, and spirals. You can change color and centers. It was built some time ago as a first Flash feature in 2001. Still works and gets lots of hits etc. Much like we have a DJ for audio and a VJ for video, we will have an IJ for mixing interactive works. These interactive mixes will be on our walls within ten years with OLED technology. OLED Walls. Meta stories and games will be played out through the mixes. Games of follow the leader, quests, mazes, hunts, rallies, chases, tag. Zen Mix (http://www.zenmix.com) is a tool that was specifically built to mix interactive works. In the original Zen Mix it is not so apparent because people are seeing the outcome of creations. But in the tool, the elements of the creation are interactive. So when I am in the Zen Mix tool I put Opartica (the Op Art tool) on top of Zen Picture (sliding picture viewer) then I can operate both of them and even have a video blended with the results. This is the place to be. Not just watching, but doing, exploring and creating. The IJ would be responsible for starting people off. Scenario: here’s an oldie from 2001, Opartica, mixed overtop of the latest branching music video from Vincent Morisset. Each branch of the video brings in associated Zen Pan of overlayed backgrounds. Zen Pan pans across pictures and other interactive works such as Zen Picture Zoom. In the above scenario, people can watch it all happen or they can use Opartica to change the patterns over the video. When their mouse causes the video to branch, Zen Pan comes in which could be operable through transparent parts of Opartica or perhaps Opartica is faded out (prompted by a shared event). When Zen Pan shows Zen Picture, they can zoom in and out on pictures and wave their mouse to go to other pictures. One of the pictures might be a Zen Deck filled with further interactive works. Clicking on one of these might fade out or ZoomExit the prior interactive works and start you in a fresh set of environments. Personal meta navigation will be available to go back. The new Zen Mix (Zen Mix 2) will be like a browser with multiple pages stacked. You can go into the pages through transparent areas or areas in applications that open up to more layers of environments. If all goes well, it will be fullscreen (adjustable), optionally available on your desktop so you can incorporate local and remote media, and will publish an FLV for distribution. It will also let you read in YouTube videos which was a limitation of a previous version of Flash. For this to happen, there are some technical issues. Zen Mix and interactive mixers are possible because of Flash and its ability to load in other flash files. There are cross domain issues on occasion and a standard or a policy of how these will be handled will help people mix interactive works. Also, some legacy code while working independently will not work within other files due primarily to using a root reference. This can be fixed quite easily by locking the root in older code but requires editing. More importantly, there are issues of transparency and event handling. When a user clicks or rolls over an area does the application on top pass the click or roll event through to the next layer. Flash can have transparent areas that will let the click pass through. But there are more than mouse events. Imagine that an animation is finished playing – that is an event. Or the user is increasing the volume of a sound. If your application broadcasts this event then the other interactive applications could subscribe to the event and do something like zoom in on a picture as the sound is increased. Reaching the end of an animation might change a blend mode or launch another application, etc. A variety of common states might be good too to handle modal issues, etc. Then when these interactive works get put into Zen Mix or an interactive mixer, various properties and connections can be set so that triggered events from one application calls a method or sets a property in another application. This could be a one off thing like a load event. Or it could be an event that calls over an interval – like a mouse move or a change event. Zen Picture (2004) was probably the first application in which I brought in a second interactive tool (Opartica 2001) and realized that mixing these was interesting. I ran into problems as the panning event of Zen Picture and the subsequent zooming within Zen Picture prevented interaction with the inner tool. 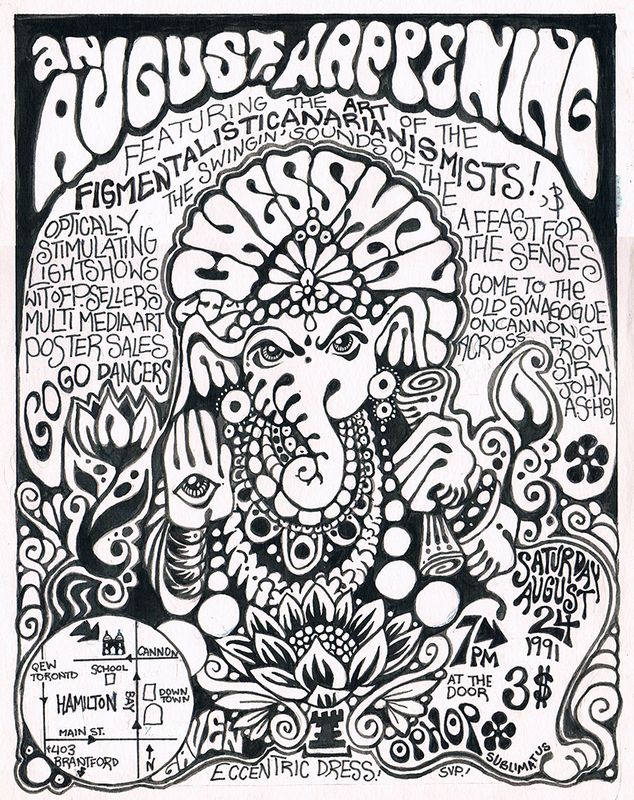 Since then, I have used Opartica, Zen Picture and Zen Pan (2005) within Zen Mix for various psychedelic dancing as exercise episodes. The designer of an interactive mix might be a story teller, artist or programmer for a story teller or artist (or one in the same person) would then set up stories or modules for stories. These could be like rooms, chapters, tools, tasks, puzzles, games, mazes, presentations, worlds, realities – cyberspace. Of course a prime element of a mix is another mix. Aspects of Meta can readily be explored leading to more interest in the topics of the philosophy of Nodism. Nodism takes our understanding of XML (the current way to share organized data) and Object Oriented Programming (how we model life in games an simulations) and proposes a single hierarchy that nests us all. As interactive designers and developers, we often build features with a foreground and a background where the content for the foreground is created by the user. We design the background or the environment. If the foreground is considered in focus, the background might be considered out of focus. It is the context for the content. Focuso is the art and philosophical aspect of out of focus or Focus out – Focuso. In particular, it can be demonstrated by photographs that are purposely out of focus for artistic reason. This Pecha Kucha talk shows how Focuso has been used in a number of Dan Zen features, often as background, yet it stands alone as an art form as the pictures to the right attest. It is hoped that the samples will encourage designers and developers to think about focus as a way to handle background much like we drop opacity. These days, with the blur filter in Flash, it is very easy to do – but of course, there is always the camera!